Chiyoda Integre Co.(M) Sdn. Bhd was established in July 1987. It was formerly known as Chiyoda Felt Co.(M) Sdn.Bhd. and was located at Persiaran Sultan, 40000 Shah Alam, Selangor Darul Ehsan, Malaysia with an initial workforce of 30 person. Chiyoda Integre Co.(M) Sdn.Bhd. moved ahead with never ending efforts to compete and continue to pursue the challenge of becoming an integrated manufacturer of high expertise and comprehensive component products for Electrical and Electronic's companies. Our continuous efforts and determination with consistant development generates trust among our customers, thus on March 1990, we establised our subsidiary named Chiyoda Felt Co.(Penang) Sdn. Bhd. which is currently known as Chiyoda Integre Co.(Penang) Sdn.Bhd. Our achievements does not reside, as in the same year Chiyoda Integre Co. (M) Sdn. Bhd. had successfully purchased and built our very own office and factory building at P.T.506, Persiaran Sabak Bernam, Section 26, Hicom Industrial Estate, 40000 Shah Alam, Selangor Darul Ehsan, Malaysia. Since then, on the strength of know-how, high technologies and the intuitive sense ahead of times, we have evolved into a well known comprehensive parts and component supplier. Such versatile performance have become possible due to our business strategy for further expanding our activities in multiple fields, while maintaining our excellent quality and fast delivery with competitive price. Successful achievements are attributed to the fact that, as a specialized manufacturer of Insulation parts, Graphic Screen Printing, Slitting of Polyester Film and Hot Stamping products, the Company has been satisfying various needs of giant enterprises. Today's business are becoming more diversified and complicated. An organization cannot survive unless it can cope with the modern needs in flexible and effective ways. Fortunately, Chiyoda Integre Co. (M) Sdn. Bhd. has come to limelight not only because of its continual order-base production activities, but also because of its effort to upgrade distinctive process control and developed high production techniques to meet the need of times. Address : P.T.506, Persiaran Sabak Bernam Section 26, Hicom Industrial Estate 40000 Shah Alam, Selangor Darul Ehsan, Malaysia. Company incorporated as Chiyoda Felt Co.(M) Sdn. Bhd. situated at Persiaran Sultan, 40000 Shah Alam, Selangor Darul Ehsan with paid-up-capital of RM 700,000. Chiyoda obtained LMW Licence (Licence Manufacturing Warehouse) and commenced operation. Product was insulation parts for Electrical and Electronics component. Introduced Graphic Screen Printing parts. Chiyoda increased paid up capital to RM 1,600,000. In the same month purchased a land at P.T. 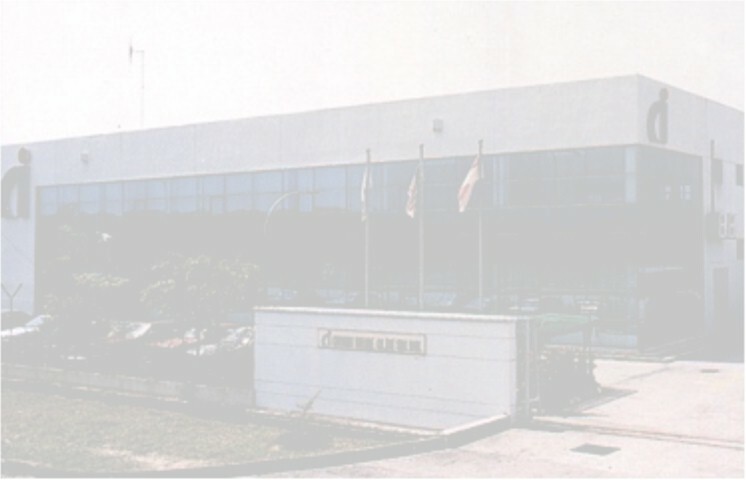 506, Persiaran Sabak Bernam, Section 26, Hicom Industrial Estate, 40000 Shah Alam, Selangor Darul Ehsan, Malaysia. Change of Company name from Chiyoda Felt (M) Sdn. Bhd. to Chiyoda Integre Co.(M) Sdn. Bhd. Our subsidiary - Chiyoda Felt Co.(Penang) Sdn. Bhd. commenced operation at: No.3, Puncak Perusahaan 2, Kawasan MIEL, Phase 5, 13600 Perai, Penang, Malaysia. Completion of Chiyoda new buildings at P.T. 506, Persiaran Sabak Bernam, Section 26, Hicom Industrial Estate, 40000 Shah Alam, Selangor Darul Ehsan, Malaysia. Chiyoda entire operation moved to the new premises. Our subsidiary Chiyoda Felt Co.(Penang) Sdn.Bhd. changed name to Chiyoda Integre Co. ( Penang ) Sdn.Bhd. Chiyoda increase Paid-up-Capital to RM 4,500,000. Our subsidiary Chiyoda Integre Co.(Penang) Sdn. Bhd. moved to a bigger premises at: 9 - 11, Puncak Perusahaan 2, Kawasan MIEL, Phase 5, 13600 Perai, Penang, Malaysia. Paid-up-Capital increased to RM 5,000,000. Increased investment in Subsidiary- Chiyoda Integre Penang from RM 500,000 to RM 1,000,000. Constructed a Dust Free Room and introduced slitting for Polyester Film. Chiyoda obtained MANUFACTURING LICENCE from MIDA. Increased investment in Subsidiary to RM 2,000,000. Increased investment in Subsidiary to RM 3,000,000. Our subsidiary Chiyoda Integre Co.(Penang) Sdn. Bhd. moved in to its very own builiding at: 1556, Lorong Perusahaan Maju 6, Kawasan Perindustrian Perai, 13600 Perai, Penang, Malaysia. Extension of new Factory building and renovation of Office building. Copyright © 2000 Chiyoda Integre. All rights reserved.